During mating season (the "rut") in late September and early October, high mountain meadows ring with the distinctive bugling of bulls challenging one another for breeding rights. Female elk, known as cows, do not have antlers. Elk have a strong herding instinct, so you'll rarely see an elk alone. Elk live in the high mountain meadows and clearings throughout Montana. They graze in the open areas and use the forests for cover and protection from the weather. 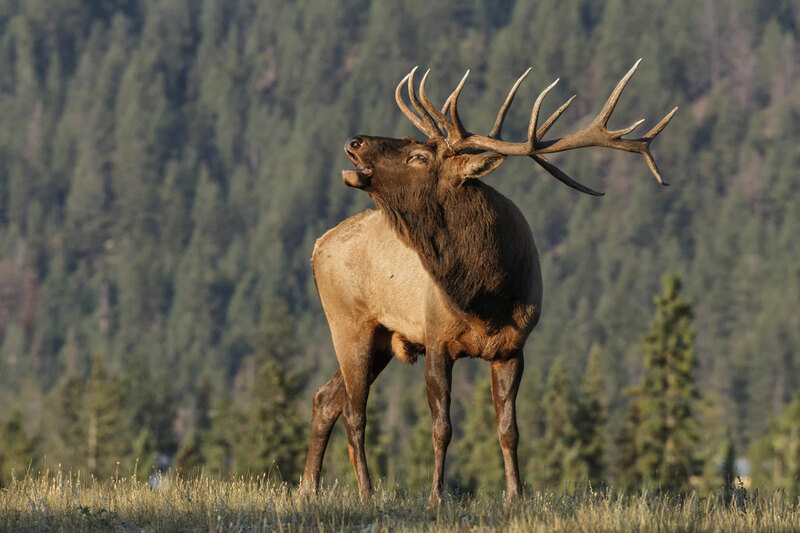 Elk spend their summers at high elevations and move to lower more sheltered areas in the winter.